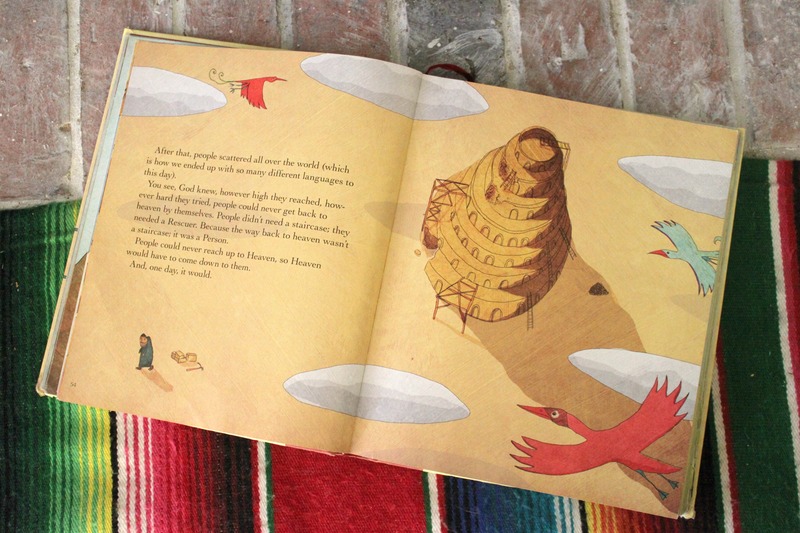 We tried to read from The Jesus Storybook Bible daily, and the kids really love it. 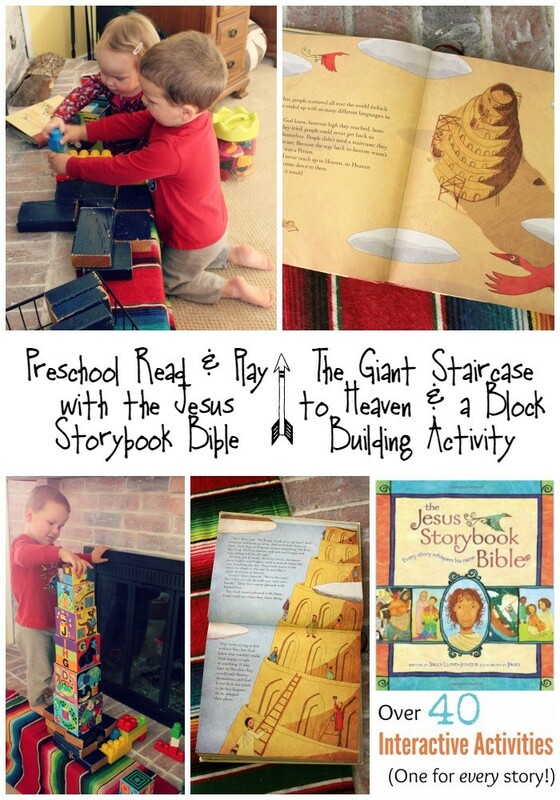 On this day we read the story “The Giant Staircase to Heaven” about the Tower of Babel. We talked about how the people built a big tower to try and get to God and be bigger than God. We talked about how we can’t ever build our way to God, but that He reaches out to us through His son Jesus. We don’t have to do anything to get to Him because He came to us. We get to have a relationship with God through Jesus. 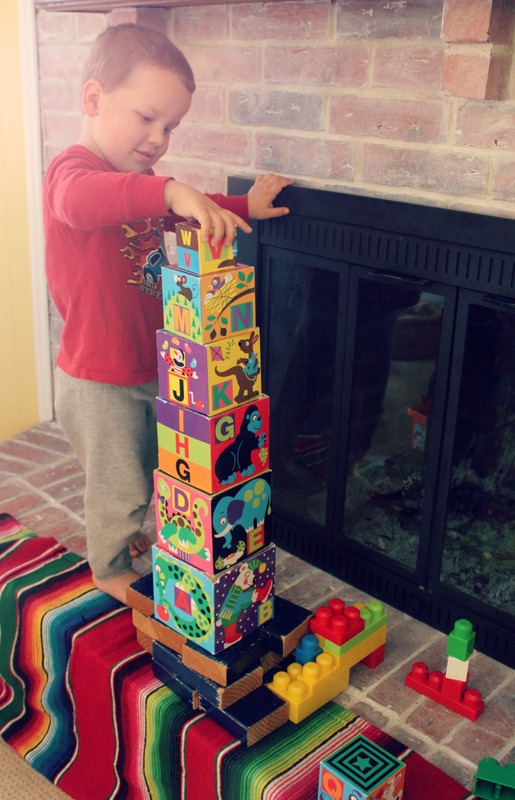 Next we gathered all of our block sets from all over the house, and set out to build the biggest tower we could. 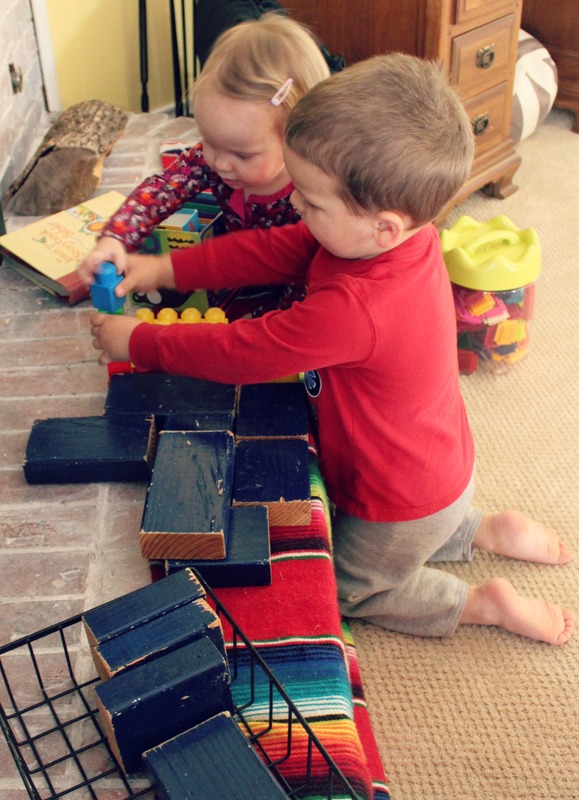 The kids built several versions, and then wanted to read the story again. 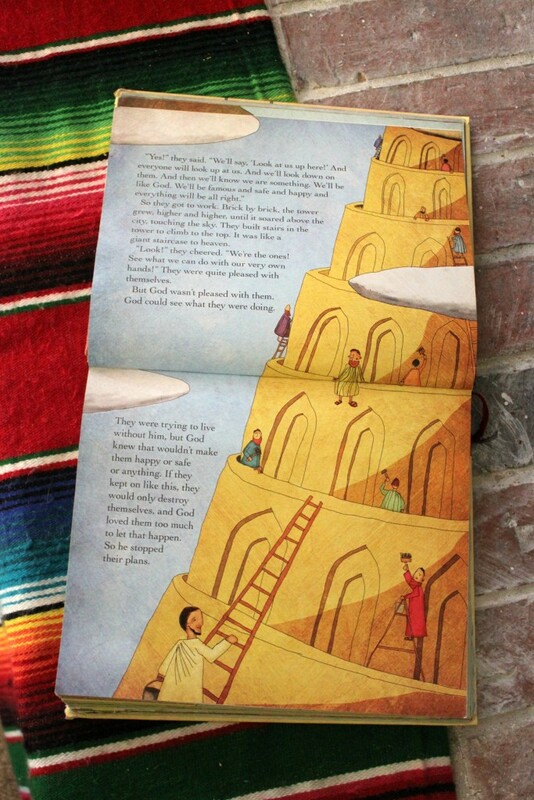 I love how every story in the bible and in the Jesus Storybook Bible points back to Jesus as the hero of the story. The wording is perfect for kids, but I get something out of it every time we read it as well.